The Stitch Gatherers Group were hoping that funds raised at this year's Biggest Morning Tea & Teddy Bears Picnic would at least equal last year's total of $1,550. How about a whopping $2,150 - that's an amazing amount for a small community and just proves that North Arm Cove residents are prepared to dig deep for a good cause. LOOK OUT - THE "TEDDIES" HAVE TAKEN OVER THE BIGGEST MORNING TEA! Join them on Satuday 14 May from 10am to 1pm at the Community Hall. See the display of bears and dolls. There will be prizes awarded for the best dressed. Bring your money with you and buy some raffle tickets to win great prizes including beautifully hand crafted shopping bags filled with lovely gifts. It was a scorching hot day, but the ladies from Stitch Gatherers were ‘cool as cucumbers’ at their choice of venue, Karuah RSL. 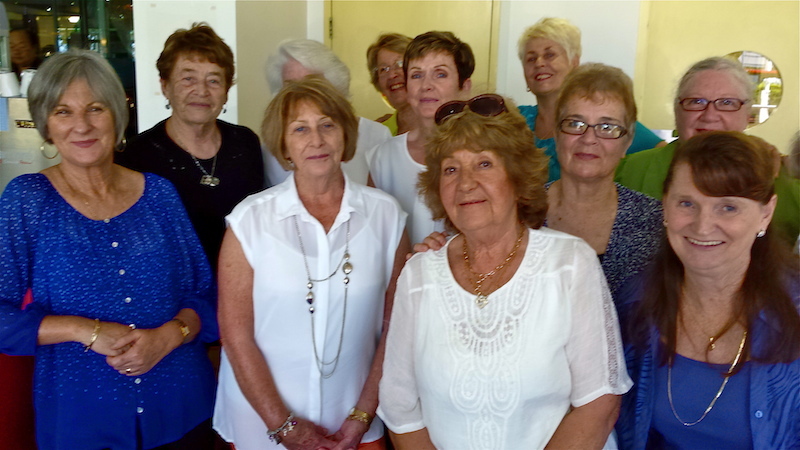 Before the feasting got under way, Joan Williams thanked the twelve members present for their hard work during the year and passed on a suggestion from Maureen Kelly for a special event at the 2016 Melbourne Cup Lunch. This project will involve craftwork from the group and everyone is keen to get started. The meat pies and sausage rolls flew off the table and Maureen Kelly’s electric knife ran hot as she dished out the roast beef sandwiches. But the big hit of the day was the mushy peas, which the diners attacked with gusto! Adam Price from Blue Water Cowboys kept the music going and the toes tapping. A few brave dancers took the floor and there was an impromptu “limbo” session thanks to Wilma Greenway and a borrowed broomstick! Join The North Arm Cove YESS Committee at their "Aussie Bush Lunch" from noon Saturday 29 August at the Community Hall. This event is to encourage North Arm Cove families to support the YESS project, an iinitiative to provide students entering high school with a $100 grant to purchase sporting gear or equipment. It's also a jolly good excuse to get together for a hearty lunch and a fun filled afternoon. 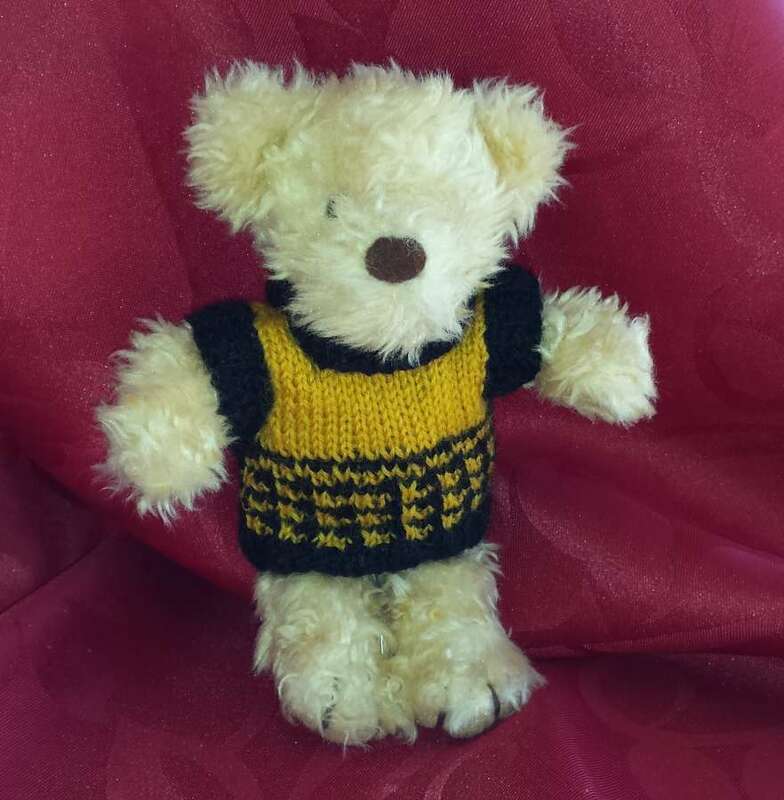 Stitch Gatherers Craft group meets on 3rd Wednesday, February through to November, 10am to approx. 1pm at N.A.C Community Hall. Members are happy to share their learned skills in all forms of stitching. E.g: patchwork, crochet, knitting and embroidery. The group welcomes anyone interested. For more information contact Joan Williams .